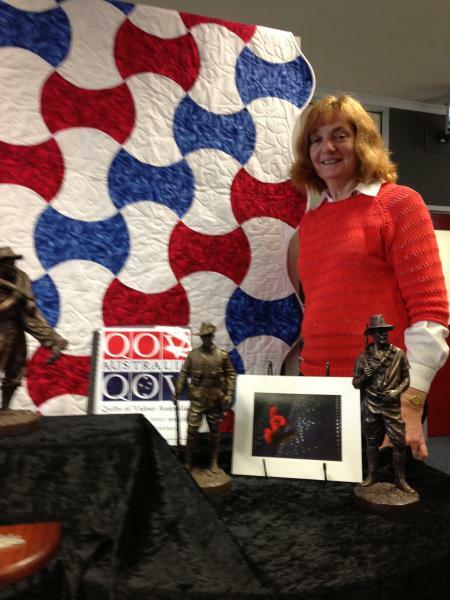 Helen Comport with one of the quilts at an Anzac Day display at Beaconhills College. A QUILT is designed for comfort and a quilt from Quilts of Valour Australia is certainly no exception. The Berwick-based organisation sends quilts to soldiers injured in conflict or the grieving families of soldiers who will never come home. In 2010 a close relative of Helen Comport was injured in conflict and evacuated to a German military hospital, where he was presented with a quilt from the American organisation. “He was in tears to think someone would be so generous and when he got home he said it would have meant so much more if an Australian had done it,” she said. It spurred Helen into action. She established Quilts of Valour Australia after her relative returned to Australia and it now has the Australian Defence Force (ADF) in board to present the quilts. The organisation has so far handed over 58 beautiful quilts, from quilters in Victoria, Tasmania and Queensland. The quilts often incorporate an Australian theme, as Helen has found this can be comforting to the injured soldiers to have memories from home. “I can see how much it means to soldiers and their families,” Helen said. Many quilts are held by the ADF in Afghanistan to be presented to injured soldiers before they are evacuated. Quilts have been presented to all soldiers injured, and the families of soldiers killed, on duty since 2012. More quilters on board would mean more quilts to give. “If all states join together, we would like to reach out to families who have lost loved ones and who still grieving enormously,” Helen said. She has been supported by her family on her endeavours to expand Quilts of Valour around Australia and her project has also received financial support from Berwick RSL, City of Casey, a Rotary club in Queensland, Lions and Lioness clubs, senior citizens clubs and quilting groups. Beaconhills College Berwick, where Helen works, has also been very supportive by organising displays of the quilts in the library for students, families and staff. The quilts are presented in a pillowcase and donations of these would also be appreciated. 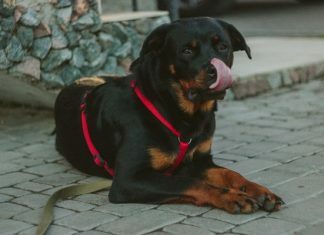 For more information about Quilts of Valour Australia or to get involved visit www.quiltsofvalour.com.au.